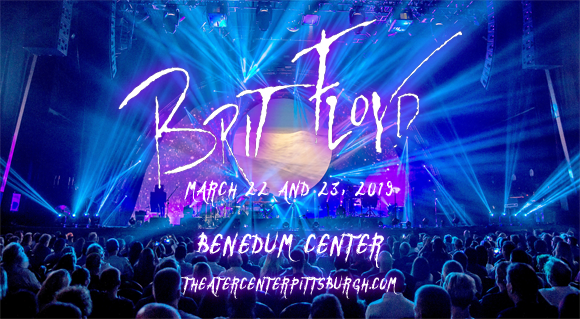 Brit Floyd comes to Benedum Center on Saturday 23rd March 2019 for the second night in a row with their hit new tour – Another Brick in the Wall 2019: Celebrating 40 years of The Wall! The uncannily accurate and thoroughly compelling show evokes the genius of Pink Floyd with virtuoso musical performances and "a stunning million dollar light show, large circle screen and arch plus moving lights, lasers, inflatables and theatrics" to immerse fans in the world of Floyd’s legendary rock opera, ‘The Wall’! The brainchild of musical director, guitarist, singer and former member of The Australian Pink Floyd Show Damian Darlington, Brit Floyd is a British Pink Floyd tribute band, formed in 2011 in Liverpool, United Kingdom. After seventeen years performing with The Australian Pink Floyd Show, Darlington created the eighteen-piece musical collective to faithfully recreate the Pink Floyd live experience, paying attention both musically and visually. Billing itself as “ the world's greatest live tribute to Pink Floyd”, Brit Floyd has been described as ‘the perfect rock show’ by the LA Times.